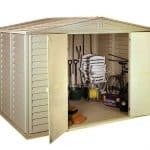 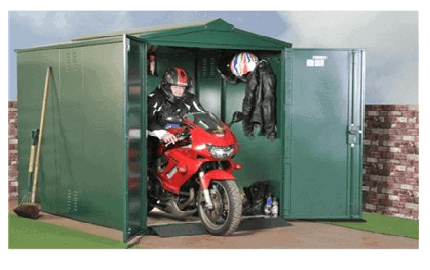 Keep your prized motorbike or moped clean, dry and secure with this Motorcycle Garden Storage. 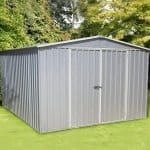 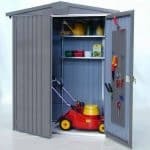 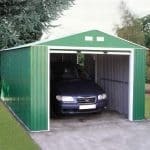 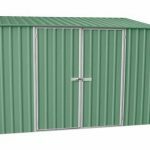 Constructed from thick, heavy gauge galvanised steel makes this extra secure and the large double doors allow you easy access to your vehicle. 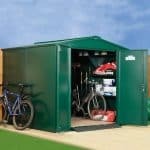 Additionally, there is a useful easy access heavy duty ramp for driving in and out of the lock-up… The locking system is a five point lock which means it cannot be broken into.